Macular Degeneration Support Group - You Are Not Alone. Macular degeneration support groups may be found in your local area or you may find that the best place for AMD support is on-line. Joining a Macular Degeneration or Low Vision Support Group is a great way to find out ways others are adjusting to their vision loss and to learn from their recommendations of visual aids or low vision services that have been helpful to them. Nancy Goodman Torpey & Peter Torpey (hosts of the weekly Internet podcast, Eyes On Success) interview family members of people with low vision. The session also includes helpful information for caregivers provided by Dan Roberts. Presented by Julie Deden, (Executive Director, Colorado Center for the Blind) at VISIONS 2014, sponsored by the Foundation Fighting Blindness. Nancy Goodman Torpey & Peter Torpey (hosts of the weekly Internet podcast, Eyes On Success) often say that nothing is impossible just because you can’t see. In this session, we hear heartfelt thoughts from several visually impaired people on the subject and how they have overcome others telling them something was impossible. Dan Roberts (ILVSG Director) explains prescription numbers, types of eyeglasses, how visual acuity is measured, and how to choose the right sunglasses. Four different eye tests are available for self-monitoring between exams. Presented by Beth Gustin (Center For People With Disabilities) at VISIONS 2014, sponsored by the Foundation Fighting Blindness. Dan Roberts’ annual wrap-up of the past 12 months of news from the field of low vision. Dan Roberts introduces new research which has shown that our brains actually do form mental images from what we hear. Sightseeing can, therefore, be possible if we just “open our ears” to the sounds around us. To make sightseeing easier, Peter Torpey and Nancy Goodman Torpey from Eyes on Success discuss making the best of nonvisual senses while traveling, including examples from their recent trip. It includes audio clips, pointers about information available at most Visitor Centers, and suggestions of the kinds of accommodations one might expect. At the end of the presentation, a fun demonstration of “audio imaging” involves the listener. Peter Torpey and Nancy Goodman Torpey from Eyes on Success speak with Pam Boy (Region Coordinator for Guiding Eyes For The Blind) about the making of a guide dog, from breeding to final graduation. 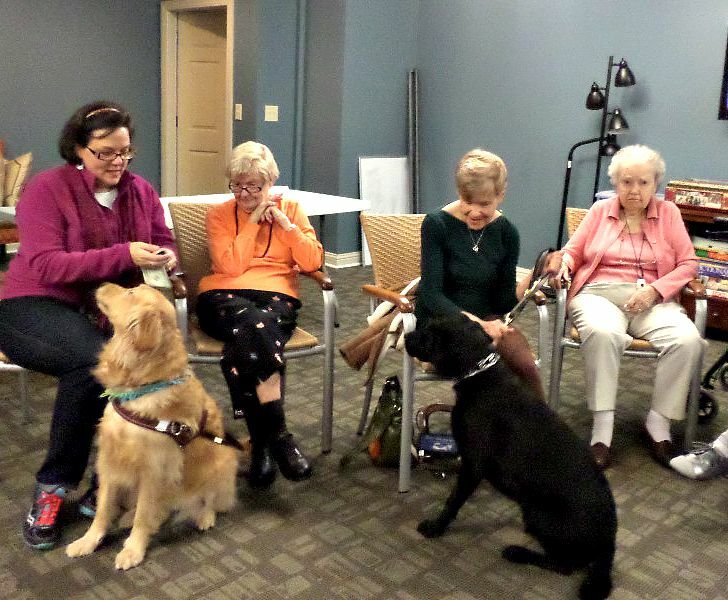 A telephone discussion with Ike Presley of the American Foundation of the Blind’s National Literacy Center. A presentation selected from the 2014 BrightFocus Chat series. Nutrition expert Ellen Troyer (CEO, Biosyntrx, Inc.) returns for her 11th annual update on the latest about diet and eye health. 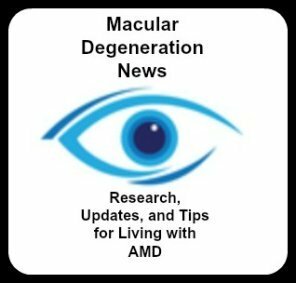 You can also be a part of an on-line macular degeneration support group by becoming a member of the MD Community's Email Discussion Group or by becoming a part of MD Forum where you can post or read messages from other people on any topic relating to macular degeneration.